With an increasing focus on ‘top ten’ type destinations and planning, sometimes we forget that the best places to visit are often those along the road less travelled. 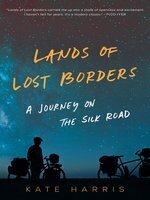 Our latest books hope to inspire readers to trust the adventure and thrill of discovery. 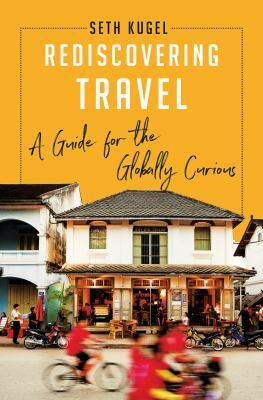 A few of our picks show a new side to popular destinations, while others give some first-hand perspective on how we can open our hearts and minds to the wonder of wherever we may end up. This month’s travel picks get a little less glamorous with Top Deck buses across Europe, barbecued rats in Ho Chi Minh City, and ignoring good advice from friends while encountering trouble in South America. Fortunately that’s balanced out with books containing great advice for kids in London, unique locations in Edinburgh and Paris, the best photographs in Scotland, and the joy of travelling slowly. Family London : fun days out with children from tots to teens / Jimi Famurewa ; photographs by Camille Mack. Crossing continents with Top Deck : the travel revolution of the 70s – 90s / written and illustrated by Trevor Carroll. So happiness to meet you : foolishly, blissfully stranded in Vietnam / Karin Esterhammer. 111 places in Paris that you shouldn’t miss / Sybil Canac, Renée Grimaud, Katia Thomas. Miss adventures : a tale of ignoring life advice while backpacking around South America / Amy Baker. Scotland : the best 100 places / Peter Irvine. Only in Edinburgh : a guide to unique locations, hidden corners and unusual objects / Duncan J .D. Smith ; photographs by Duncan J.D. Smith. Travelling light : journeys among special people and places / Alastair Sawday. This month, discover Paris and London in very different ways. Janice MacLeod’s A Paris Year is a love letter to Paris (in illustrations and words) through the eyes of an artist. On the flip side, Streets of London : the story behind London’s most famous streets takes a layered approach, uncovering some of London’s fascinating back doubles and alleyways, often passed by and ignored. In a month of contrasts and different approaches, we also feature two books about Antarctica. Philip Samartzis, author of Antarctica: An Absent Presence, travelled south with the Australian Antarctic Division on several occasions and his recordings of the unique sounds of Antarctica have been used to create soundscape compositions which wrap around the words and images in this book. The flip side here is a personal narrative leading towards the icy continent from rural America, in Andrew Evans’s The Black Penguin. 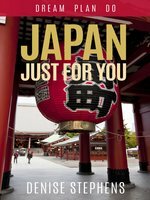 Finally we have a literary bent, with the collection of New York Times columns in Footprints examining the locations that influenced famous writers, and The Writer Abroad featuring the actual travel writing of some of the greats. 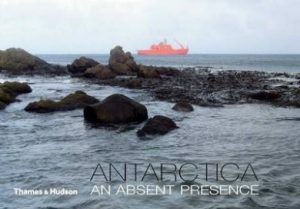 Antarctica : an absent presence / Philip Samartzis. A Paris year : my day-to-day adventures in the most romantic city in the world / Janice MacLeod. The black penguin / Andrew Evans. Streets of London : the story behind London’s most famous streets / Lucy McMurdo. Tourist trains guidebook / [from the publishers of Trains magazine ; editor: Randy Rehberg]. 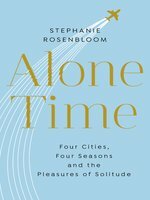 Footsteps : from Ferrante’s Naples to Hammett’s San Francisco : literary pilgrimages around the world / The New York Times ; introduction by Monica Drake. The writer abroad : literary travels from Austria to Uzbekistan / selected by Lucinda Hawksley. Ways to see Great Britain : curious places & surprising perspectives / text and illustrations by Alice Stevenson. Delve into this month’s stunning array of new maps and atlases, presenting places familiar and strange in a new light. To start getting lost in these is to start dreaming the existing world anew. With this comes the imperative to go out and uncover the world – whether in your neighbourhood or on the other side of the globe. 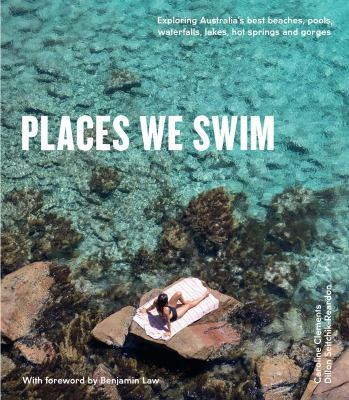 Atlas of improbable places : a journey to the world’s most unusual corners / Travis Elborough & Alan Horsfield. Curiocity : in pursuit of London / Henry Eliot & Matt Lloyd-Rose. Atlas obscura : an explorer’s guide to the world’s hidden wonders / Joshua Foer, Dylan Thuras & Ella Morton. Best. state. ever. : a Florida man defends his homeland / Dave Barry. Love of country : a Hebridean journey / Madeleine Bunting. Crossing the Congo : over land and water in a hard place / Mike Martin, Chloe Baker, Charlie Hatch-Barnwell.